The "Toro Bravo" cattle population is not its own species; and calling it a "race" would not be accurate either, since it doesn't have substantial physical differences with other bulls. It's just a more violent breed. If their dissapearance is a real concern, they could be mixed in with other cattle until their violent behaviour gets flushed out, while preserving other characteristics. 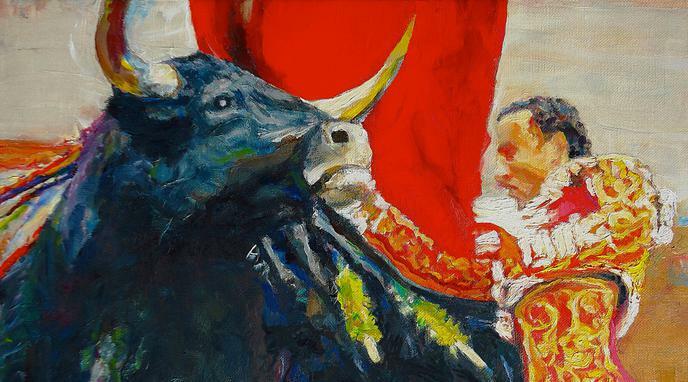 "Toro Bravo" do not have any more right to life than any other cattle. Animal rights are premised on sentience, not whether they display characteristics that humans appreciate. If we bred aggression, stamina, etc. into the breed we can also breed those characteristics out and select for characteristics that are more conducive to beef, leather or milk production.